The name Hispaniola comes from the Spanish 'La Espanola' ('the Spanish island'). Hispaniola was home to the first permanent European settlements in the Americas. Cuba, lying to the west, while not technically a part of Hispaniola, was closely linked to it, and was used as a launch pad for the conquest of Mexico. While it formed the springboard for Spanish conquests on the American mainland, once those conquests had been made, interest in Hispaniola noticeably waned. Today Hispaniola is an island within the Antilles, the most populous and the second-largest, with Puerto Rico lying to the east. Politically, the island is divided between Haiti (the western third of the island) and the Dominican Republic (in the east). The seafaring Taino people, a division of the Arawak group of American natives, probably arrive on the island around this date, possibly displacing earlier inhabitants. They name the island Kiskeya or Quisqueya, 'mother of the earth', and survive through a mixture of hunting, fishing, and farming. On the eve of the arrival of the first Europeans, the Taino people have a settled society which is divided into five chiefdoms. Christopher Columbus first lands in the Bahamas on 12 October in a three-ship expedition from Spain. He is initially credited with being the first European to reach the Americas, although he uses a route that sailors have been aware of for at least a generation. Later, the Icelandic Viking, Leif Ericson, is credited with the discovery in around 1003. (The undocumented voyage of Prince Madog of Gwynedd is placed at 1170, making him the second discoverer of the Americas.) By 5 December, Columbus arrives at western Hispaniola, where he founds the colony of La Navidad. Then he sails to eastern Cuba. First Spanish viceroy or governor of the Indies. Taino chief in west (Haiti). Refused to support Taino revolts. Sister, equal, and successor. Executed in front of her people. Spanish governor of the Indies. Killed at sea. Columbus is stripped of the titles and privileges he had been granted for his explorations, following accusations of tyrannical governorship, and is replaced as governor of the Indies. At the age of 53 he is chained and shipped back to Spain where he and his two brothers are cleared and restored. Columbus is never again allowed a command in the Indies, although he is allowed to sail again, skirting the coast of Nicaragua and claiming Panama for Spain in 1502. Husband of Anacaona. Chief in centre & south (Haiti). Chief (or cacique) Caonabo is captured by the Spanish for an attack and is shipped off to Spain. Along the way the ship is wrecked and Caonabo is lost. Soon after, while a feast is underway in honour of Anacaona, the Spanish set fire to the meeting house. Anacaona and other Taino nobles are arrested and executed, with the queen being hanged in front of her people at the age of 29. Taino rebel chief. Possibly the same as in Cuba? Spanish governor of the Indies. In 1502 the new Spanish governor, Nicolas de Ovando y Caceres, arrives at Hispaniola on a fleet of thirty ships which carries 2,500 colonists. With him is conquistador Francisco Pizarro. The following year another conquistador, Hernan, or Hernando, Cortes, also arrives from Spain. Following his arrival in the Americas in 1493 and a possible return to Spain, in 1504, Juan Ponce de Leon is made governor of part of eastern Hispaniola. Between 1506-1508, lured by reports of fertile land and rivers of gold, he explores Puerto Rico and is made its first governor by the Spanish crown. Cortes takes part in the Spanish conquest of Hispaniola and Cuba, receiving a large estate as his reward. Son of Christopher. Spanish governor of the Indies (viceroy 1511). Fled to Cuba to help fight the Spanish settlers there. Cortes supports Diego Velazquez de Cuellar, aide to the governor of Hispaniola, in completing the conquest of Cuba. Manoeuvring himself out of the viceroy's control, Diego Velazquez is made the first governor of Cuba. Vasco Nunez de Balboa (governor of Panama) and Francisco Pizarro (later governor of Peru) cross the Isthmus of Panama, leading the first European expedition to see the Pacific from the west coast of the New World. Once there, Balboa claims the Pacific Ocean and all the lands adjoining it for Spain. An expedition to discover rumoured lands to the north under Juan Ponce de Leon gets underway on 4 March 1513. On 2 April land is sighted which is named Florida. Eventually Ponce de Leon makes landfall on the western coast, probably in the vicinity of Charlotte Harbour or Tampa Bay. After returning briefly to Puerto Rico and then Spain, Ponce de Leon is confirmed as governor of Florida. Two expeditions are sent by Diego Velazquez into the Aztec empire in 1517. In 1519 Panama City is founded on the mainland and within two years the focus of Spanish attentions passes to the west and New Spain is born. 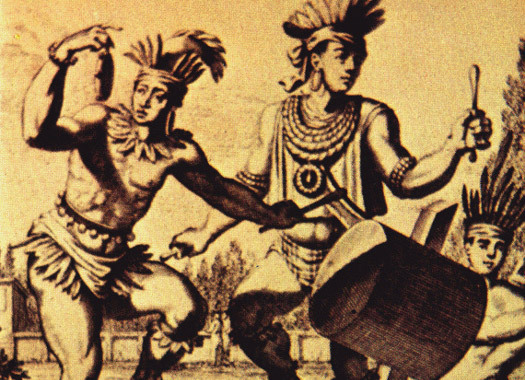 By now the number of Taino natives on Hispaniola has been drastically cut to a little under six per cent of their original number due to the import of European disease and Spanish mistreatment. The labour shortage caused by this prompts the colonists to begin to import slaves from Africa. Nephew of Anacaona and probably her successor. Cuba experiences an exodus of settlers as they flood into New Spain's mainland territories. By 1535 a political reorganisation of the Indies places Cuba under the direct administration of New Spain, ending the governorship of the Indies. Cortes himself is the first governor of the conquered Aztec city of Tenochtitlan. After being orphaned by the Spanish during the attack which had killed his father and which had led to the execution of his aunt, Anacaona, in about 1504, Taino chief Enriquillo is raised in a monastery. As a rebel chief, he fights the Spanish in the Baoruco Mountain Range and is moderately successful. The Taino there remain free for some time. The Spanish king orders the population to move towards the capital, Santo Domingo, in an attempt to avoid their interaction with the ever-increasing number of Caribbean pirates. In fact, this leaves much of the island empty for Dutch, English, and French pirates to establish new bases. Former captain general of Guatemala (1627-1634). 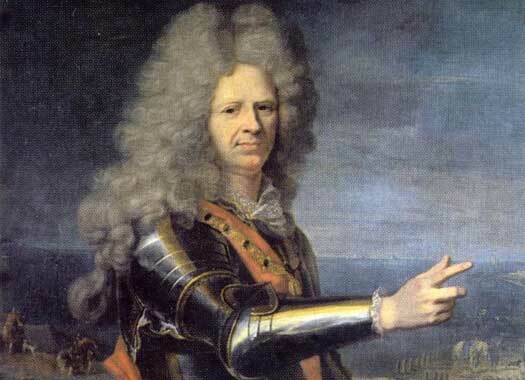 King Louis XIV officially recognises French colonies on the island. From 1691, French governors control the colony of Saint-Dominigue which is ceded to France by Spain in 1697 under the terms of the Treaty of Ryswick. Hispaniola had left the door open for non-Spanish colonists from 1606, when it withdrew its citizens from the countryside. In 1665, the French King Louis XIV officially recognised newly established French colonies on the island, and from 1691, French governors controlled the colony of Saint-Dominigue. It was officially ceded to France by Spain in 1697 under the terms of the Treaty of Ryswick, and this section of the island quickly became the richest and most prosperous, under the nickname, 'Pearl of the Antilles'. It also set the division of the island in stone, with those divisions remaining in place today as Haiti and the Dominican Republic. As part of the Treaty of Ryswick, Spain formally cedes the western third of the island to France. The French rule it as Saint-Domingue (modern Haiti), and it prospers far more than the eastern section of the island which the Spanish retain under the name of Santo Domingo (modern Dominican Republic). Third term of office as acting governor. Britain occupies areas of the island as part of its war efforts against Revolutionary France. The commanders in charge of the island are shown here in red. However, they faced constant armed opposition from former slaves led by Toussaint Louverture, Jean-Jacques Dessalines, and Henri Christophe. By 1798, the British have been forced to withdraw and Toussaint Louverture is virtual master of the island. The French Directory is established on 3 November 1795, headed by Paul Barras. 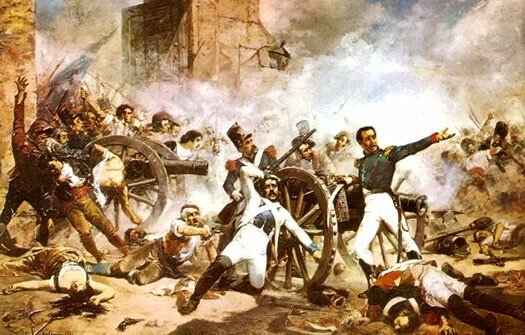 France's Revolutionary Wars against the monarchies of Europe begins to carve out a new empire for the country, both at home and abroad, where the entire island of Hispaniola is gained from Spain under the terms of the Treaty of Basel. The Netherlands is also invaded and the puppet Batavian Republic set up, and subsequently a peace agreement is sealed with Prussia and Spain. Hessen-Homburg falls under near-constant French military occupation, having to pay contributions to the French war effort. Slaves on Hispaniola under the command of Toussaint Louverture are soon in revolt against their new French masters. Second term of office as commissioner. Toussaint Louverture captures Santo Domingo from the French and takes control of all of Hispaniola. An army is sent by Napoleon Bonaparte to regain the island, and Louverture is sent back a prisoner. His successors, aided by the ever-present threat of yellow fever, regain the west of the island in 1804. The French are expelled and the independence of Haiti is declared. The French manage to recover Santo Domingo in the east. Became first governor-general of Haiti. Following the French invasion of Spain, the people of Santo Domingo revolt against French rule, and manage to restore Spanish control with help from Britain and Haiti. Governor of Spanish Santo Domingo. Various plots to make Spanish Santo Domingo independent have already failed when on 30 November 1821 Jose Nunez de Caceres declares the colony to be independent as the state of Spanish Haiti (Haiti Espanol). Nine weeks later, Haitian forces invade and annexe the colony, bringing to an end over 300 years of mostly Spanish rule. An extremely poor republic occupying the western third of the island of Hispaniola, the name 'Haiti' was originally used by the Taino natives who occupied the island before the arrival of Christopher Columbus (Ayti meaning 'mountain land' and referring to the entire island). It was they who put up the strongest resistance to Spanish conquest, and the name was revived by the Haitian revolutionary, Jean-Jacques Dessalines. French occupation of Haiti was finally thrown off in 1804 and Haiti was declared independent. The people of Haiti still revere Anacaona of Xaragua, one of the best-known Taino chiefs. African-descended revolutionary leader Jean-Jacques Dessalines is the successor to Toussaint Louverture (captured by the French). He declares the independence of French Saint-Domingue on 1 January and restores the country's original Taino name of Haiti. Dessalines is proclaimed governor for life by his troops, but after ruling as a despot he is assassinated on 17 October 1806. The country is divided into a kingdom in the north and a republic in the south, but is quickly reunited under the new president, Jean-Pierre Boyer. The northern Haitian state is extinguished with the death of King Henry, and is reabsorbed into the rest of Haiti. Haitian forces led by Jean-Pierre Boyer (second president of the republic) invade Santo Domingo in the east when it declares independence from Spanish rule. The state of Haiti now covers the entire island of Hispaniola. France sends a fleet to recapture the island, and the president is forced to buy Haiti's continued independence with a treaty and money by which means France recognises that independence. A long series of coups follows the end of Boyer's presidency. The Dominican Republic is formed to the east when two-thirds of the island revolt and gain independence from Haiti under a Dominican rebel movement called La Trinitaria. Frequent Haitian invasions in the 1840s and 1850s fail to re-conquer it. Proclaimed emperor after two years as president. Abdicated. Pedro Santana relinquishes his position as president of the Dominican Republic and is replaced by his former minister of war and marine matters, Manuel José Jimenes González. In the same year, the forces of soon-to-be Emperor Faustin invade, and President Jimenes is forced to appeal to Santana for military assistance. The Haitians are thrown back across the border and Santana overthrows Jimenes. Emperor Faustin attempts again to reconquer the lost Dominican lands during the Dominican War of Independence in 1857. His forces are again defeated, notably at the Battle of Las Carreras. Opponents to the return of Spanish rule in the Dominican Republic launch the Restoration War. Haiti, fearful of the return of the Spanish, gives aid to the revolutionaries. The USA occupies Haiti in an attempt to stabilise it and impose a lasting government. President Trujillo of the Dominican Republic has his army massacre all Haitians living there, between 17,000-35,000 of them. As a result, Haiti is paid compensation. Following the resignation of President Magliore, the Duvalier family rule the country as dictators under a series of provisional governments. The Duvaliers are overthrown by a popular uprising in 1986. 'President for life' from 1964. Former priest Jean-Bertrand Aristide wins the elections, taking power on 7 February 1991. A no-confidence vote sees him resign and fly off into exile while the country is left in chaos. In 1994, a US mission helps restore Aristide until 1995. Aristide is re-elected in a vote which appears to be the result of massive fraud. He flies into exile for a second time in 2004. In the same year, severe floods in the south-west of the Dominican Republic, and in parts of Haiti itself, leave more than 2,000 dead or disappeared. Two years later, after a period of interim authority, a new president of Haiti is elected. Haiti, with nearly the same population figure as the Dominican Republic but half the land space, bears the unenviable reputation of being the poorest country in the western hemisphere. The Dominican Republic occupies the eastern two-thirds of the island of Hispaniola. Together with Haiti, the island forms part of the Greater Antilles chain, with Cuba and Jamaica to the west and Puerto Rico to the east, while across the Caribbean Sea to the south lies Venezuela and to the north-west are the Bahamas. The republic boasts the very first permanently-settled European capital city in the Americas. On his voyage of discovery (or rather confirmation of what many seafarers already knew existed), Christopher Columbus first landed in the Bahamas on 12 October 1492, with a three-ship expedition from Spain. By 5 December, the expedition had arrived at western Hispaniola, where Columbus founded the colony of La Navidad. The name, Hispaniola, comes from the Spanish 'La Espanola' ('the Spanish island'), while the island formed the springboard for subsequent Spanish conquests on the American mainland. Hispaniola slowly became less important after that, although the native Taino had to be taught a severe lesson in obedience when they revolted against the Spanish takeover of their lands. In 1665, the French Bourbons established colonies on the island, and it was officially ceded to France in 1697, as Saint-Dominigue. In 1804 the island became Haiti, an independent entity ruled by former slaves. But Haiti endured a troubled existence, and the Dominican Republic was formed from part of its territory on 27 February 1844 following a successful revolt. While independence brought initial optimism and a constitution modelled on that of the USA, peace wasn't long-lasting, and the country's people suffered under frequently tyrannical governments until very recently. Most of the state's population bears Taino ancestry in mixed form. Between March and November 1844 the country is governed by a central government board that is headed by a president and eleven other members. Then Pedro Santana, a wealthy cattle-rancher, is elected as the country's first true president, and the future for the Dominican Republic looks bright. 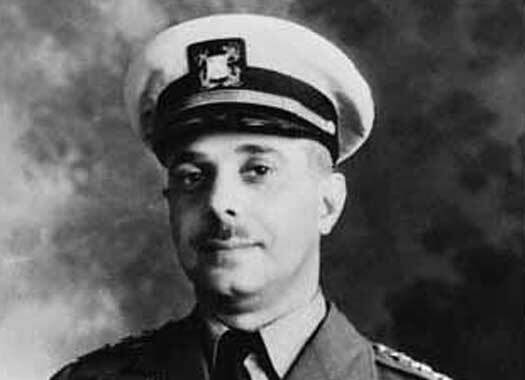 Santana relinquishes his position as president and is replaced by his former minister of war and marine matters, Manuel José Jimenes González. 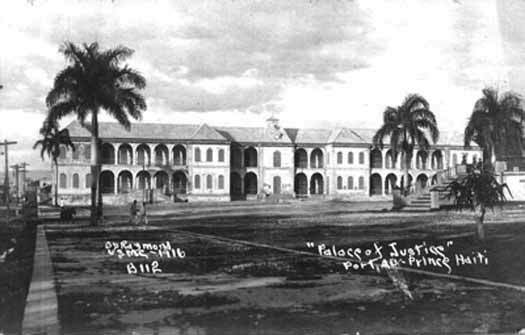 In the same year, the forces of soon-to-be Emperor Faustin of Haiti invade, and President Jimenes is forced to appeal to Santana for military assistance. The Haitians are thrown back across the border and Santana overthrows Jimenes. Seized the presidency. Supreme chief in 1849. New elections see Buenaventura Báez become the president of the republic. His first term of office sees him attempt several times to have the republic annexed to a larger country, notably France and the USA. He is deposed, inevitably, by Pedro Santana during a coup. Seized the presidency for a second time. Buenaventura Báez is the elected president for the second time from 1856. The Haitians under Emperor Faustin are again defeated during the Dominican War of Independence in 1857, notably at the Battle of Las Carreras, and the president is deposed in a coup in the same year. His office is filled in 1858 by another elected president, José Desiderio Valverde Pérez. Just a year later he is replaced (or succeeded) by Pedro Santana. Presidency for a third time. The republic becomes the only ex-colonial country in South America or central America to voluntarily revert to being a colony. The country's leader, Pedro Santana signs a pact with Spain to hand the territory back. Captain-general under Spanish rule. Died 1864. Opponents to the return of Spanish rule launch the Restoration War, aided in part by Haiti. After two years of fighting, Spain abandons the island. During the war, in 1864, the last account of the existence of Taino natives in their original form is made when a Spanish soldier records them firing at him. Internal strife follows in the country, with rule by warlords and military revolts being common. Pedro Antonio Pimentel becomes the first president of a newly re-independent Dominican Republic, the second republic, but his term of office is brief, being limited entirely to four and-a-half months in 1865. General and supreme chief of the republic. President of the provisional government junta. A brief return to an elected president in late 1865 is halted on 29 May 1866. The triumvirate is formed of Pedro Antonio Pimentel (briefly president in 1865) and two others, which oversees new elections and two subsequent presidents between 1866 and 1868. The presidency is terminated yet again, on 13 February, and a junta of generals oversees the country's governance. New elections are held and, on 2 May 1868, Buenaventura Báez, the former rival and fellow revolutionary of Pedro Santana, returns to office for the first time since 1857. His term as president is unusually long-lasting. President Buenaventura Baez makes one of many bids to join his country to another. With the support of the US president, he plans to have the republic annexed to the USA, but the bid is derailed by the American Senate, by just one vote. Seized the presidency. Supreme chief (Jan). General-in-chief. Ignacio María González ends a period of fairly stable presidency on 2 January 1874. He becomes supreme chief of the republic and is joined by fellow general-in-chief Manuel Altagracia Cáceres on 22 January. This lasts until 6 April, when Ignacio María González assumes the office of president in a term of office that lasts until 1876. Again the presidential office is replaced by imposed rule, this time from the council of secretaries of state, which is formed of six people. Ulises Francisco Espaillat succeeds this as president for all of five months or so (29 April to 5 October 1876) before being replaced by a superior governing junta. This is formed of seven members and itself is replaced by Ignacio María González as supreme chief. President of the provisional government junta (Dec). The presidential office resumes again, now with Buenaventura Baez returned to the post. He manages to last for two entire years this time around, before being deposed in another coup and this time he is exiled to the Spanish colony of Puerto Rico. A council of secretaries of state in 1878 returns not one but two very short-lived presidents in the same year, followed by another authoritarian body called the people's military chiefs and then Jacinto de Castro as acting president. He in turn is replaced by another council of secretaries of state which survives into 1879 and then a seemingly more stable presidency which remains uninterrupted for several years. A run of uninterrupted if sometimes difficult presidencies (such as one that ends in assassination) is halted. A five-man council of secretaries of state is formed on 30 August 1899. It lasts for a day before being replaced by the four-man people's revolutionary governing junta. On 4 September a president of the provisional junta is selected, and on 15 November fresh elections see Juan Isidro Jimenes Pereyra become president. Following a period of relative peace and even some prosperity over the previous twenty years, instability returns to the country with many short-lived governments taking control. A provisional junta rules in 1902-1903, followed by two short-lived presidential terms.In 1906, as part of action to keep the European powers out of the area, the USA enters into a fifty year treaty which transfers the country's customs administration out of the Dominican Republic's hands. The proceeds from this help to pay off some of the country's massive debt. The USA has already occupied Haiti in an attempt to stabilise it and impose a lasting government. It also threatens an equally unstable Santo Domingo. US Marines land on 19 May 1916 and within three months they secure effective control of the country. In November the USA proclaims a military government. Between 1917-1921 the marines have to fight a determined guerrilla action in the east of the country, led by Vicente Evangelista. Eventually the guerrillas yield. In 1921-1922, the Harding Plan effects a gradual withdrawal of US forces and a return to local control. The 1924 elections see Dominicans fully in control once again of a country that is stable and prosperous. Violence returns to the republic during new elections. President Horacio Vazquez is overthrown, and Rafael Trujillo's regime of tight control and profiteering takes over. There is still economic growth, however. Dictator of one of the bloodiest regimes of the century. Killed. Trujillo has the army massacre all Haitians living in the republic, between 17,000-35,000 of them (figures vary). As a result, Haiti is paid compensation. After a career spent eliminating his political opponents and murdering border Haitians, Trujillo is assassinated on 30 May 1961. Two years later a democratically-elected government takes charge before being overthrown in a military coup. Chairman of the provisional junta. Víctor Elby Viñas gives way to a ruling triumvirate which is replaced on 25 April 1965 by a revolutionary committee. It takes a landing by US marines and occupation by them and other states from the Americas to bring about a free and fair election in 1966. Thanks to the 'Dominican Intervention', the country finally gains a degree of stability. This period is one of generally improving civil rights and stable governments. Elections are generally fair (except in 1994 when national and international opinion forces a re-election in 1996). Two hurricanes leave more than 200,0000 people homeless and cause damage worth a billion dollars as the economy continues to deteriorate due to high fuel prices and low sugar prices. IMF-prescribed austerity measures, including price rises for basic foods and petrol, lead to widespread riots. In November deadly clashes between police and protesters take place during demonstrations against high prices and power cuts. Two months later, demonstrations about economic policies leave at least five dead. In 2004, severe floods in the south-west, and in parts of neighbouring Haiti, leave more than 2,000 dead or disappeared.